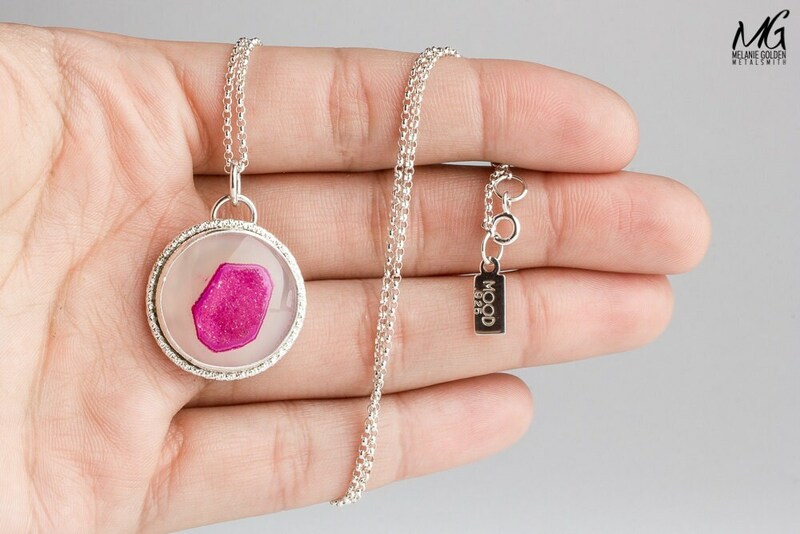 I created this original one of a kind necklace from a piece of sheet metal that I pierced, sawed, and filed. 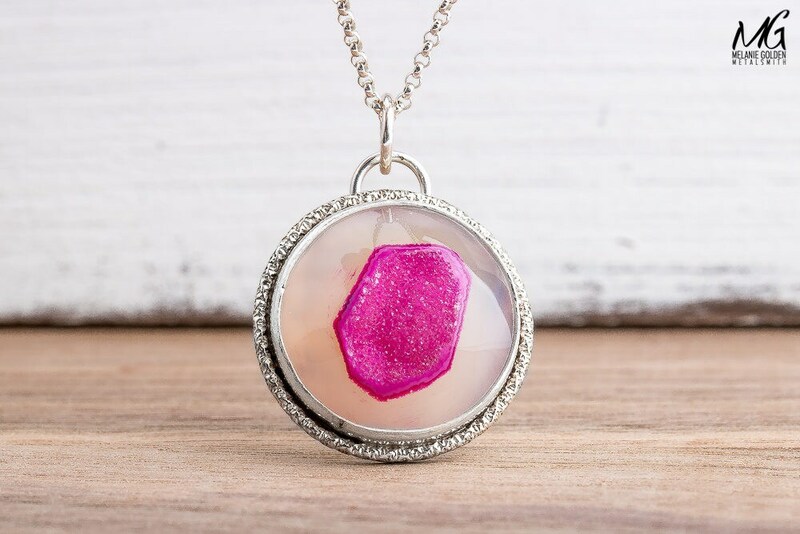 Set within the center is a beautiful pink Druzy Agate gemstone edged with a faceted border. 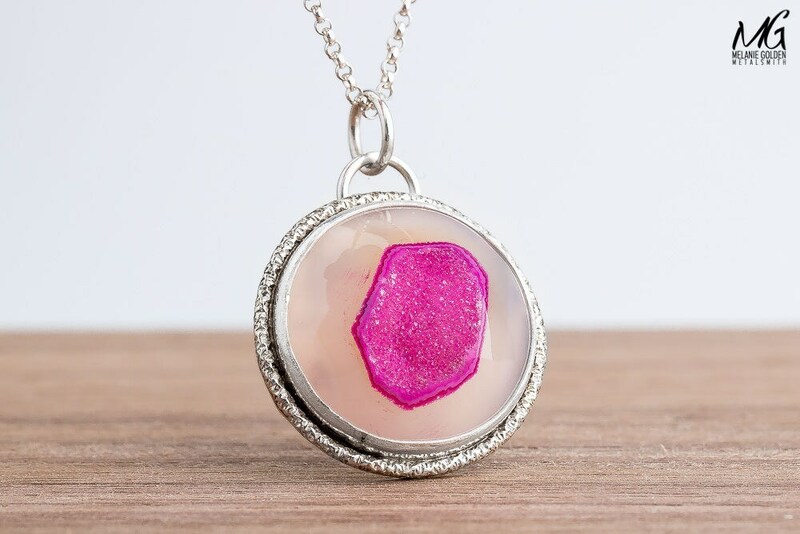 The term 'druzy' (or drusy) refers to tiny quartz crystals that are formed inside or on the surface of other stones when water containing silica particles is forced into a fissure or porous area of a rock and rapidly cools there. 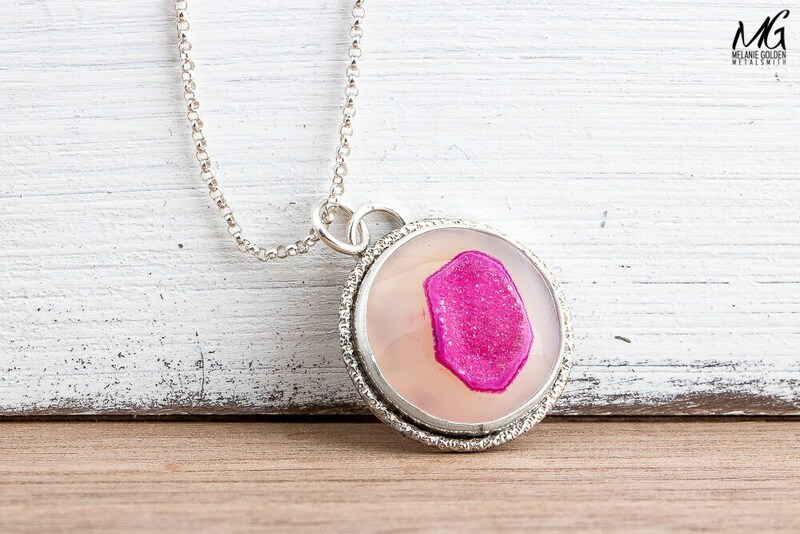 The clear crystals often form on top of previously deposited minerals, which give the particles their color. 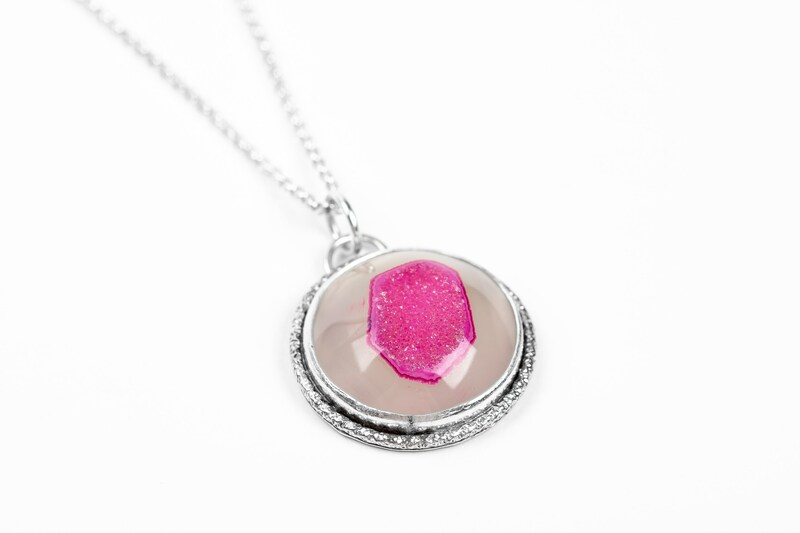 The crystals create a glittering effect as they reflect light from their many facets. 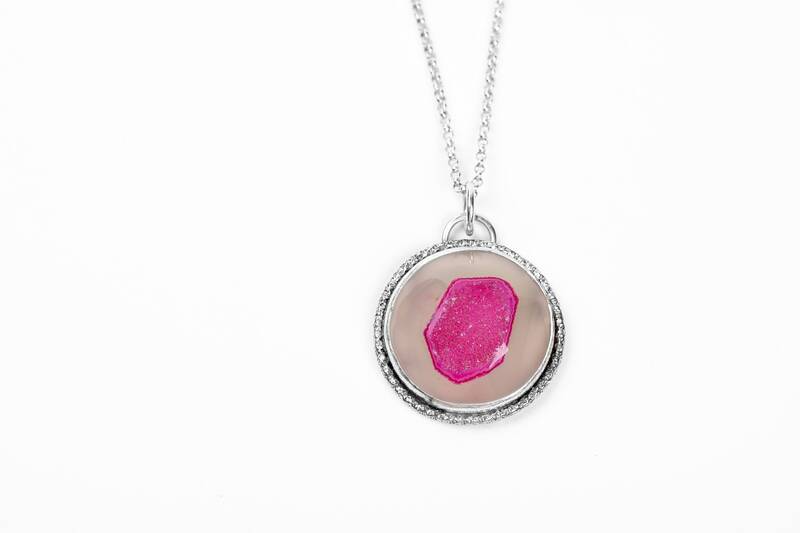 - Gemstone measures about 20mm. 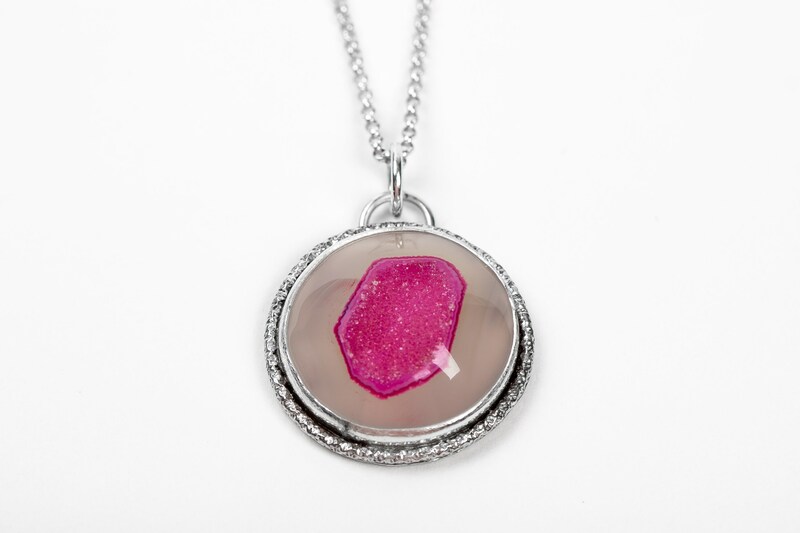 - Entire pendant measures approximately 24mm. 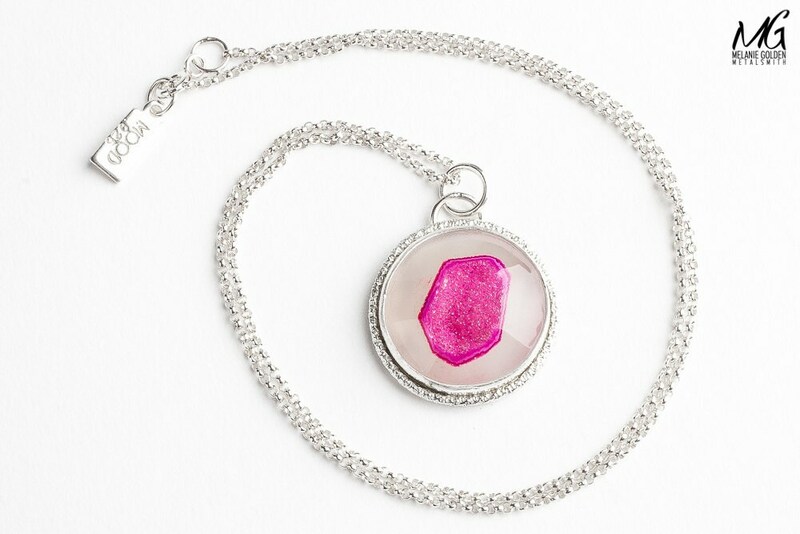 - Necklace is made entirely from solid Sterling Silver and a pink Druzy Agate gemstone.